While many Robert Mueller diehards were disappointed by Attorney General William Barr’s announcement that the investigation did not produce sufficient evidence to support collusion or obstruction, some people—notably, vendors who have put Mueller’s jowly visage on everything from mugs to buttons to candles—are still holding out hope. Jezebel reached out to several Etsy vendors selling Mueller merchandise, curious what they plan on doing now that the investigation has concluded without the smoking gun many had been banking on. I sold many candles over the past year. I really don’t know how many! I make them to order. And.... It is not over yet! Mueller is very intelligent. There is a lot more than meets the eye. I’ve sold about $250. I don’t have a lot left. Right before the decision came out I had a combined order of 2 Trump voodoo dolls and 2 Mueller. Apparently, they were going to do battle with each other. I think I’ll keep the listing for awhile. Maybe he’ll be called to testify? Plus, we haven’t heard the whole report. I give back a portion of my sales to progressive causes. By far, the Trump voodoo doll has been my best seller. I don’t think that will change. As you may have noticed, I have a pro-DEM/women slant to my site. It’s my creative protest. Maybe the Pelosi doll will gain more steam? We need someone to fight the good fight! I’ve sold a few dozen mugs, over the past year or so. I have only made mugs, as a part of my line of political pottery, including presidents, first ladies, supreme court justices, and members of congress. I will continue to sell them as long as there’s interest. Although the special council is officially complete, clearly the investigation is not, and his role in the ongoing investigation will continue in some respects. Additionally, as I continue to pursue a line of political pottery, Mueller, and others are an active part of our nations political process. Reflecting on this thru functional pottery is important to me, relevant to our history, and an essential part of educating the general public. Uh. Wait until the report is released. Release the report. 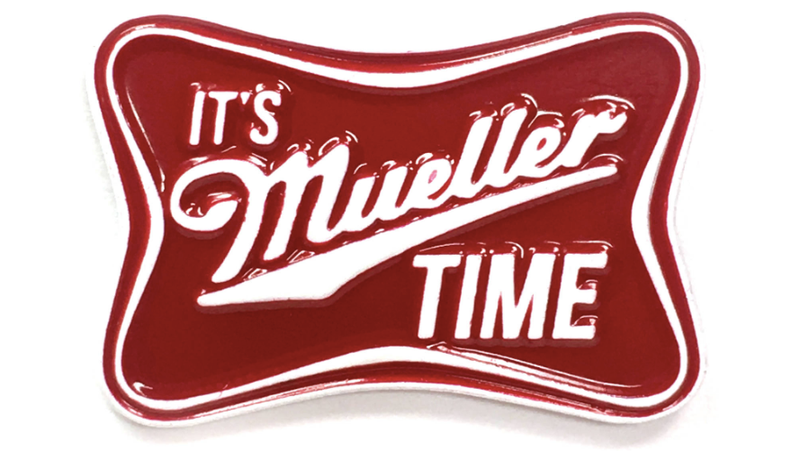 It’s still Mueller time somewhere, folks.